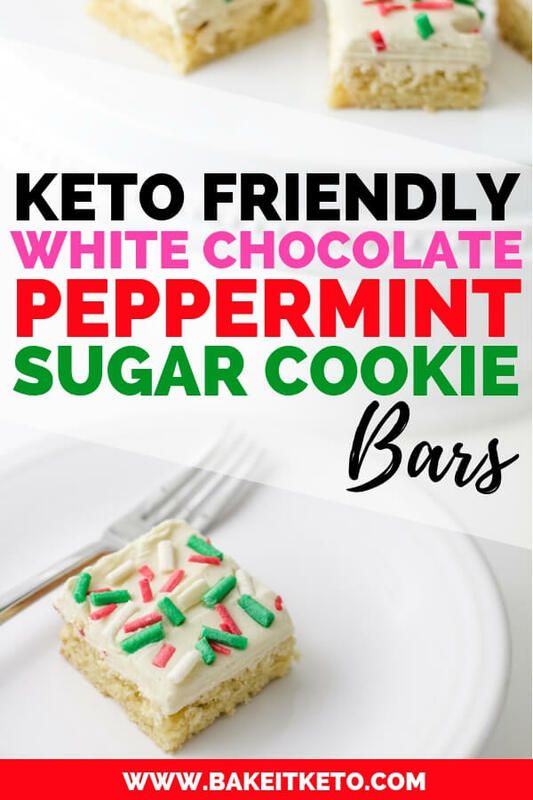 The best keto super soft sugar cookie bar recipe made with erythritol, coconut flour, and cream cheese! 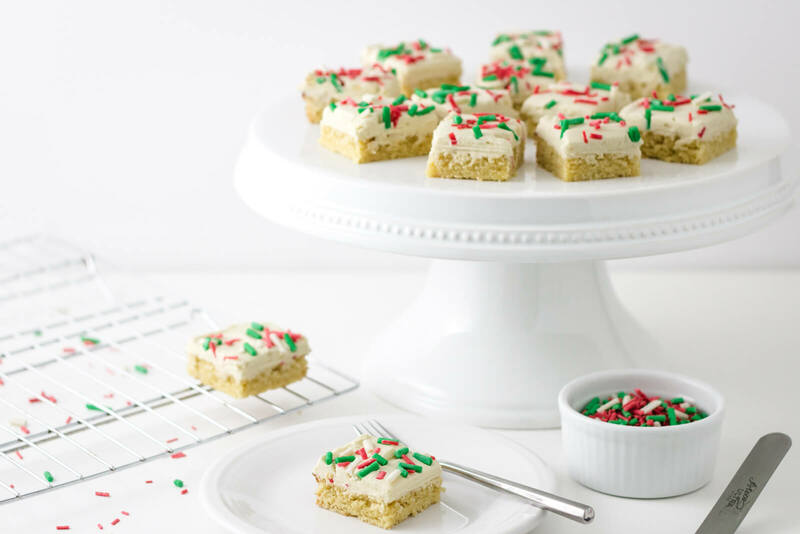 Easy to make for Christmas and the holidays with tree nut free dough, fluffy white chocolate peppermint frosting and a sprinkle of homemade keto sugar-free sprinkles. I’ve never been able to find a good recipe for keto soft sugar cookies or sugar cookie bars made with coconut flour (and without almond flour). Sooo many low carb recipes require almond flour. While that works well for a lot of low carb and keto eaters, I don’t personally do well with almonds. If you’ve also been on the hunt for nut-free keto recipes, you probably already know that simply substituting coconut flour for almond flour (or even all-purpose flour, for that matter) doesn’t work. At all. Using coconut flour in any recipe requires a complete and total overhaul. 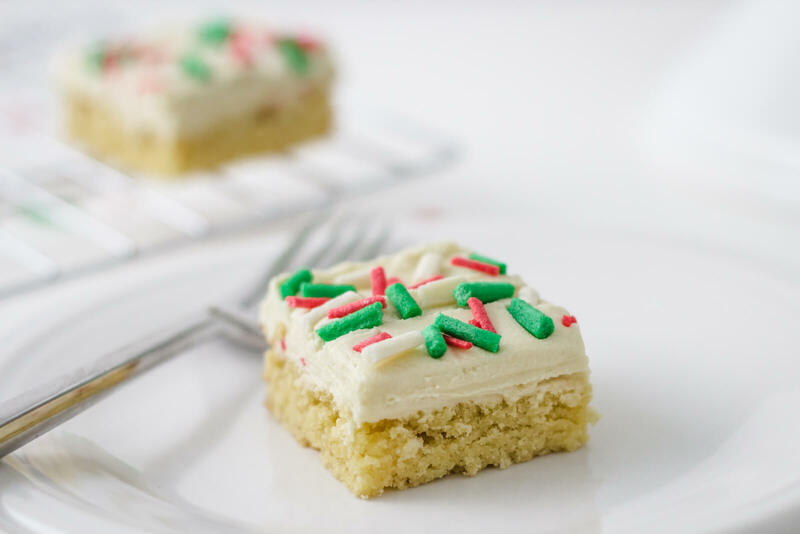 So whether you’re tree nut free or just avoiding almonds like I am, I hope this keto sugar cookie bar recipe satisfies your keto-Christmas-cookie-loving sweet tooth! 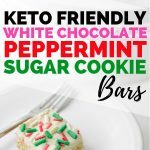 The keto sugar cookie dough for these bars is soo easy to make! Here are a few tips and tricks to help you get the best results. Coconut flour is extremely absorbent, but not all coconut flour is the same. I’ve found different brands of coconut flour soak up different amounts of liquid. This means if you’re using a different kind of coconut flour, your results from the recipe might not be the same as mine. When I first started baking with coconut flour I realized I got the best results when using Bob’s Red Mill coconut flour. No surprise, since that was the same coconut flour many of the recipe bloggers I was following at the time were using when creating their recipes! At this point, I only use Bob’s Red Mill coconut flour when I’m developing recipes and I highly recommend using it for consistent results. When I was a professional pastry chef an offset spatula became one of my most used and loved tools, but not many home bakers know how awesome they are! 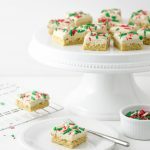 For this recipe, I used an offset spatula to evenly spread the keto sugar cookie dough in the pan and to spread the frosting on the sugar cookies. Why is an offset spatula so great? It’s much more agile than a rubber spatula, and less of your dough or frosting will stick to it. It has just the right amount of flexibility. Not too stiff! Icing a cake? Heat the metal offset spatula gently with hot water, quickly dry it on a paper towel before using, and you’ll be amazed by the smooth pro finish you can get. Transfer anything to a serving dish neatly and cleanly. Easily move cookies or other baked items to a serving platter without touching the edges or disturbing your hard work! What would Christmas cookies be without adorable red, green, and white sprinkles? Did you know store-bought sugar sprinkles add an extra 4+ grams of carbs in every single teaspoon? Adding all of that unnecessary sugar after going to the trouble of making delicious keto sugar cookie bars just isn’t worth it to me. Not to worry, you can make your own sprinkles in any color you want, for any occasion with my Keto Sugar Free Sprinkles Recipe! 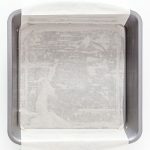 Grease an 8-inch square baking pan and line with parchment. I used a nonstick metal pan, lined with a strip of parchment. In a small bowl, combine the coconut flour, baking powder, and collagen and set aside. Sift the coconut flour if it's clumpy. In the bowl of a stand mixer fitted with a paddle attachment, cream together the butter, cream cheese, and granulated Swerve. Add the egg to the butter mixture and beat until combined, scraping the bowl down with a rubber spatula as needed. Add the vanilla and salt and beat to combine. Add the coconut flour mixture to the butter mixture and beat until fully incorporated, scraping the bowl down as needed. Spread the cookie dough evenly in the prepared pan (I used an offset spatula for this). Bake the cookies at 325 degrees F for 18-20 minutes, until the center is set and the edges begin to brown. Allow the cookies to cool in the pan (coconut flour cookies are sturdier when cool). In the bowl of a stand mixer fitted with the paddle attachment, cream the butter and confectioners Swerve until light and fluffy (if the confectioners Swerve is clumpy, sift it as you dump it into the bowl). At first, the mixture will seem dry and then it will smooth out and become creamy as you continue mixing. Add the extracts, salt, and cocoa butter, beating to combine after each addition. Scrape the bowl down with a rubber spatula as needed. Add the heavy cream powder and beat until light and fluffy. Once the cookies have completely cooled, use an offset spatula to spread the white chocolate peppermint frosting evenly over the top. Use the parchment lining the pan to pop the cookies out and transfer them to a cutting board. Slice the cookies into 16 squares. Sprinkle the bars with homemade keto sugar free sprinkles in holiday colors. Make them in any color using the recipe on my blog! Store in an airtight container. If stacking the cookies, place a piece of parchment between layers. 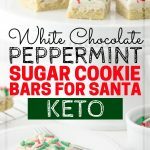 WANT TO SAVE THIS WHITE CHOCOLATE PEPPERMINT KETO SUGAR COOKIE BAR RECIPE FOR LATER? CLICK HERE TO PIN IT TO YOUR FAVORITE KETO PINTEREST BOARD!